provides questions for discussion and further reading with each chapter. 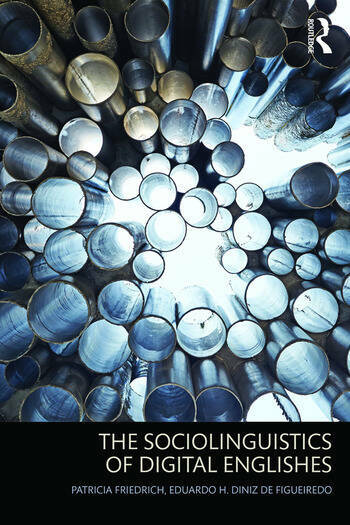 Accessible and innovative, this book will be key reading for all students studying sociolinguistics and digital communication or with an interest in language in the globalized multimedia world. Patricia Friedrich is Associate Professor of Rhetoric and Composition/Linguistics at Arizona State University, USA. Eduardo H. Diniz de Figueiredo is Assistant Professor of English at Universidade Federal do Paraná, Brazil. "This is a book we have badly needed. The Sociolinguistics of Digital Englishes is about language, culture, society, world Englishes, digital media, and the modern global world. It is an excellent introduction to each area and to their integration. But is also full of deep insights and path-breaking ideas. It is rare that anything this usable as a textbook is this smart." "This well-researched, pioneering book will help build sociolinguistic knowledge about the Internet rights/responsibilities of users of English."